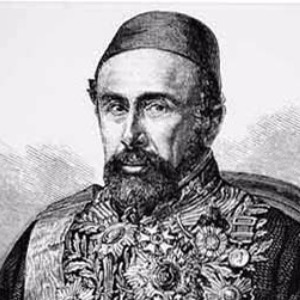 Grand Vizier, Marshall, War Veteran, scholar (B. November 1st, 1839, Bursa/Turkey - D. January 21st, 1919, İstanbul, Turkey). 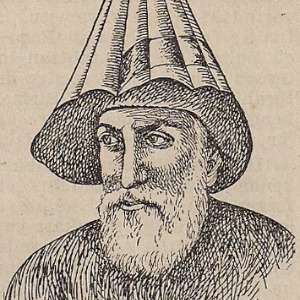 He was the son of İpekçi Halil Efendi. 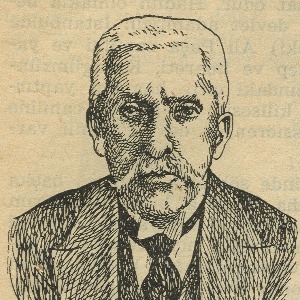 He was the father of Mahmud Muhtar Pasha (received surname Katırcıoğlu after the Surname Law) who was the Minister of Maritime Affairs in the Ottoman period and Sermet Muhtar Alus who was the journalist, writer and cartoonist known with his writings and books on Istanbul. His father passed away when he was six years old and he was brought up by his grandfather. He completed his primary and secondary school education in Bursa. After graduating from Bursa Military Senior High School, he continued his higher education at War Academy in Istanbul on 1860. He graduated as a staff captain in Istanbul. 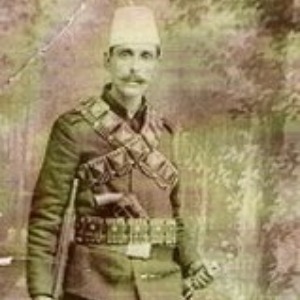 He fought in Montenegro battles next to Serdar-ı Ekrem Ömer Pasha. He conquered Ustruck Pass with a small cavalry troop during the war. Despite the fact that he has wounded, he held the pass until the arrival of supporting forces. Due to this success, he was promoted as a commander. Later, he worked as a teacher at the School of Artillery Staff and Military Engineering. He was sent to Germany and France to do research on modern weapons by Abdülhamid II. 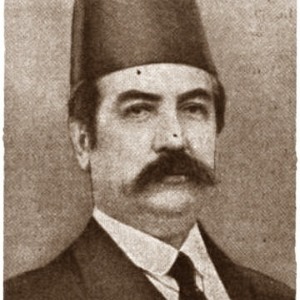 On November 19th, 1888, while he was a colonel he became a mechanical teacher at Mekteb-i Mülkiye-i Şâhâne İdâdîsi (Civil Service High School). After he remained in office for twelve years, he left this position. 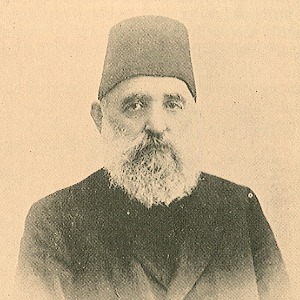 He was one of the founders of Cemiyet-i Tedrisiyye-i İslamiye (Society of the School for Orphans). 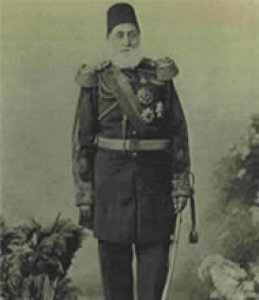 In 1864, he started to train Yusuf İzzeddin Efendi, the son of Sultan Abdülaziz. He made trips to Great Britain, France, Germany and Austria together with the prince between the years of 1864-67. In 1867, he returned to Montenegro and achieved a great success against the Montenegrins. He was appointed to Yemen in 1869 and due to the successes gained against the Arab revolts in Yemen, he was promoted to the rank of general at the age of 33 (1871). Then, he was appointed as the governor of Yemen. Afterwards, he served for Ottoman Empire in Shumen, Erzurum, Bosnia-Herzegovina and Montenegro. 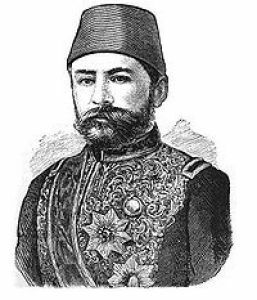 Before the 1877-78 Ottoman-Russian War, he was put in charge of the supreme military commander of the Caucasian Front by Abdülhamid II. Under his command, Ottoman army won Gedikler Battle on 25th August and Yahniler Battle on 24th October against the Russians. After these victories, he was upgraded to the rank of Marshall and then received the title of Ghazi (T.N. war veteran). 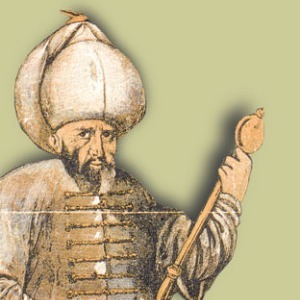 He formed a line of defense in Zivin to defend Erzurum province. 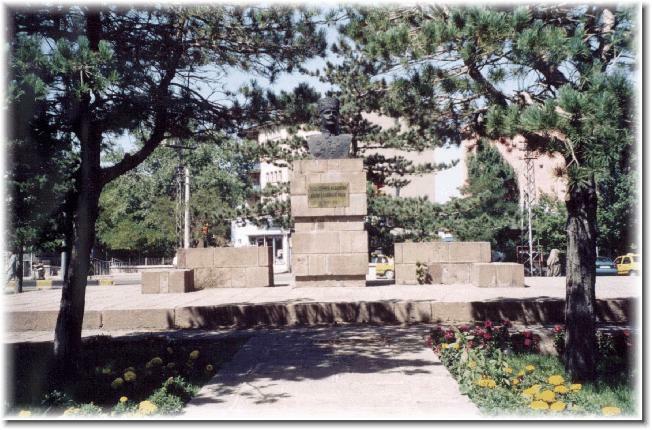 As the Ottoman Army commanded by him was defeated in the Battle of Alacadağ; the army withdrew to Erzurum. Although he had much less military force fighting against the Russians; he achieved to repulse the Russian armies several times in Aziziye Bastion. He asked Istanbul to send support troops, but when this request was rejected, he decided to draw the Caucasian Army towards Bayburt. 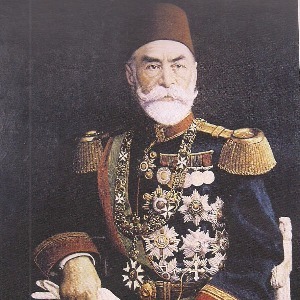 Meanwhile, he was called to Istanbul upon the coming of Russian armies, which were fought in the Danube Front against the Ottoman troops under the command of Gazi Osman Pasha and he was charged with forming a line of defense in Çatalca against the Russians troops. 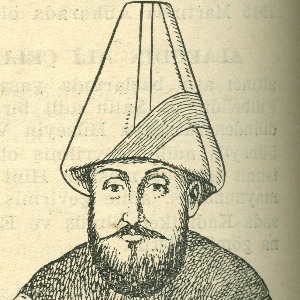 When the meetings of the Treaty of San Stefano began with Russia, he pulled up to the line of defense to Bakırköy. In the last days of the war, he was appointed to the presidency of general staff. 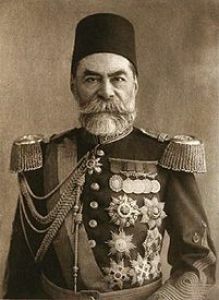 After the Ottoman-Russian War, he assumed the directorship of the Tophane-i Amire (T.N. a place in which the cannon balls for Ottoman army and the navy were produced); governorship of Monastery and inspector of the Ottoman Third Army. 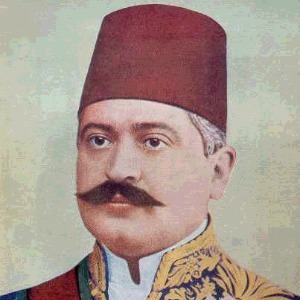 Between the years of 1882-1908, he stayed in Egypt with the title of “Extraordinary Commissioner” for twenty six years. 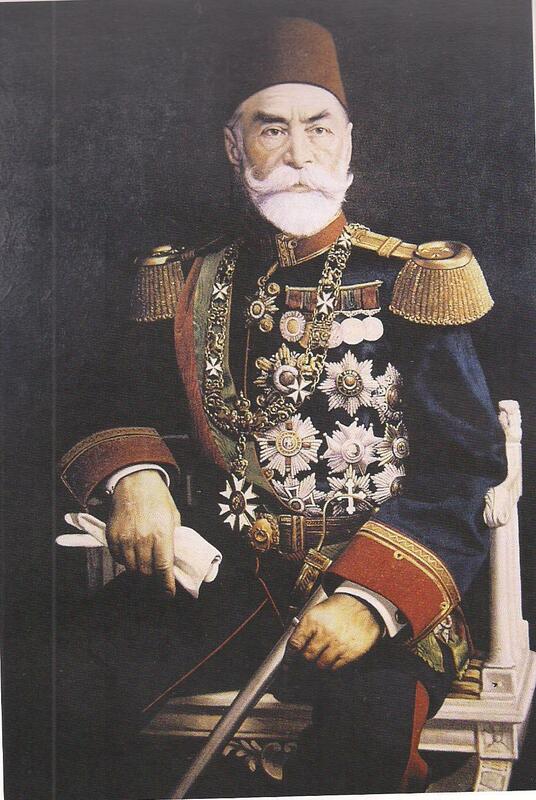 Before the Balkan War (1912-13), he became a Grand Vizier during the reign of Mehmet Reşat the 5th, but this was a short-lived mission (July 22th, 1912 - October 29th, 1912). Upon the outbreak of Balkan Wars, the 4th Parliament (Meclis-i Mebusan) was dissolved and martial rule was declared on August 5th, 1912. 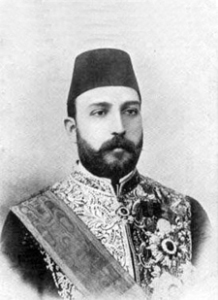 On October 29th, 1912, he resigned from his position as grand vizier. 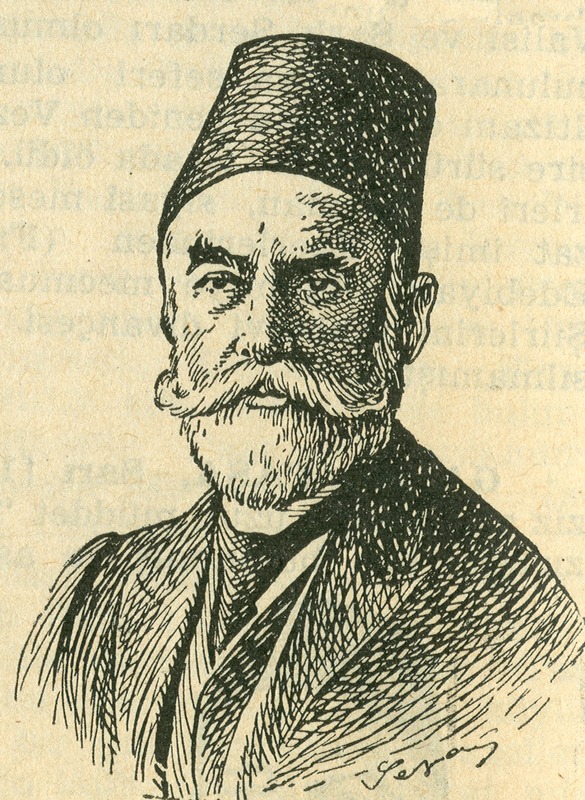 Following the war, Ahmed Muhtar Pasha published his memoirs in a book named “Sergüzeşt-i Hayatım’ın Cild-i Sanisi”. Because he was interested in astronomy and mathematics; he suggested use of the Gregorian calendar system and international hour system. Besides the book on this subject named “Islahat-ül Takvim” (T.N. Reforming the Calendar), he has many scientific works. The railway station that was opened in 1890 on the European side of Istanbul; initially was called with his name, but later it became known simply as the Sirkeci Train Station. Died in 80 years old in Istanbul, Gazi Ahmed Muhtar Pasha was buried in the courtyard of Fatih Mosque. The mansion that was used as headquarter by the Ottoman troops during the 1877-78 Ottoman-Russian War, was restored and transformed into a museum by the governor of Kars. In the museum, there exist the military equipments, battle plans, maps and photographs related to the Ottoman-Russian War Museum. There is also a statue of Ahmed Muhtar Pasha in the museum entrance. 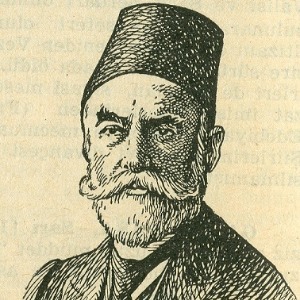 Güzide-i Tarih-i Osmani‎ (1883), Riyaz ül-Muhtar: Mirat-ül Mikat ve el-Edvar (1885), İstimdad (1887), Islah-ül Takvim (1891), La Réforme du Calendrier (1893), Rehber-i Umran (1900), Rehber-i Muzafferiyat-i Bahriye yahut Deniz ve Sahil Muharebelerinin Vesait ve Kavaid Esasiyesi (1900), Hikmet-i Tefekkür - Mensur: Mecal-i Fikret - Manzum‎ (1902), Atabe-i Bülend Mertebe-i Hazret-i Hilafet Penahiye Bir Arıza (1910), Sergüzeşt-i Hayatımın Cild-i Evveli (1912), Sergüzeşt-i Hayatımın Cild-i Sanisi (1912), Sene-i Maliyenin Hicri Sene-i Şemsiye ile İstibdaline Dair (1912), Takvimü’s-sinin (1915), İstimali Tekerrür Eden Takvim-i Malî (1916 Serair ül-Kur’an (1920).